ATHENS—The Toyota Texas Bass Classic (TTBC), the World Championship of Professional Bass Fishing, brings the best set of qualified anglers to Lake Fork, May 9-11. The three-day tournament combines the Top 15 in Angler of the Year (AOY) points from all three major tournaments including the Walmart FLW Tour, Bassmaster Elite Series and the PAA Tournament Series. Daily tournament weigh-ins, outdoor expos and country music concerts will add to the daily excitement of this event. TTBC’s record for partnering with anglers, the fishing industry and Texas Parks and Wildlife Department (TPWD) in support of fishing, education and conservation is unmatched. Through a continued partnership with the Texas Parks and Wildlife Department (TPWD), TTBC will continue its focus on conservation efforts and adhere to a strict catch, weigh and immediate release format. 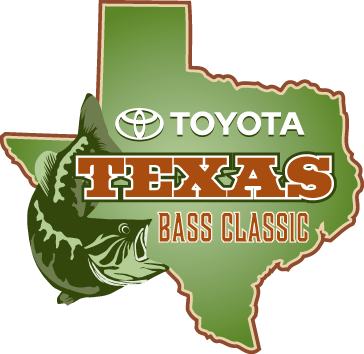 The Toyota Texas Bass Classic will be located on the grounds of the Sabine River Authority (SRA) just east of the Lake Fork dam. The Outdoor Expos, TPWD Adventures Area, Bass Pro Shops Kid Zone, and the live concerts will all take place at SRA.